It is official. The convention season has caught up with me and I am not sure how much longer I can continue to immerse myself in my fandom. I arrived home today from a road trip that brought me to Gen Con, for three days (I missed Sunday) of gaming bliss. While this served as a distraction from my comic books, despite driving over 30 hours on this trip, I am bringing you an abbreviated recap of this week's comics. Old Man Logan #10 - When I learned that Jeff Lemire was penning this series, I didn't know what to think. The original Old Man Logan is a classic and one of my favorite Wolverine stories, yet Lemire has managed to put his own spin on the series and it has been delightful. 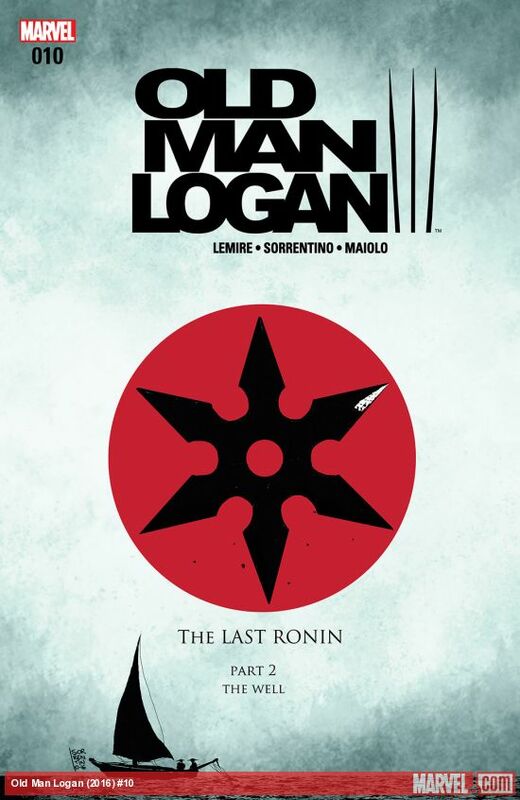 Wolverine, still struggling to save his future family, is up against his greatest foe yet, General Sohei of the Silent Order. This issue did an amazing job of bringing Logan's past and future together in a way Guy Ritchie would be proud. The next issue is going to be an epic battle as Wolverine is determined to save his family no matter what the cost. I love the emotion that Lemire has been able to evoke from Logan. While he has always been emotional, I don't recall a story that has impacted me in the same way this one has. 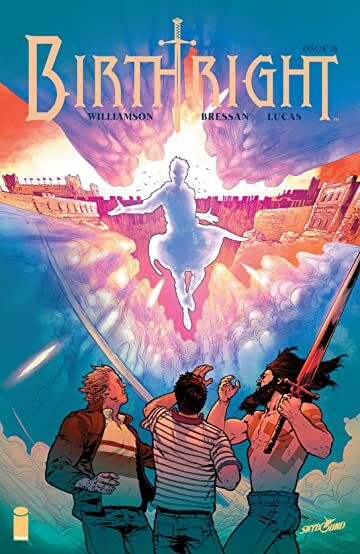 Birthright #18 - I am going to assume that we are nearing the end of this epic tale, as Mikey is getting closer to being free of the Nevermind that has possessed him since he returned to Earth from Terrenos. This is the moment that readers have been clamoring and kudos for Brennan, Mikey's younger brother, for sticking by his side throughout this entire ordeal. Despite the fantasy elements, Birthright is all about family and I hope we are closer to bringing this family together properly after it was all taken away in the first issue. Really excited to see how things pan out in the next couple of issues. 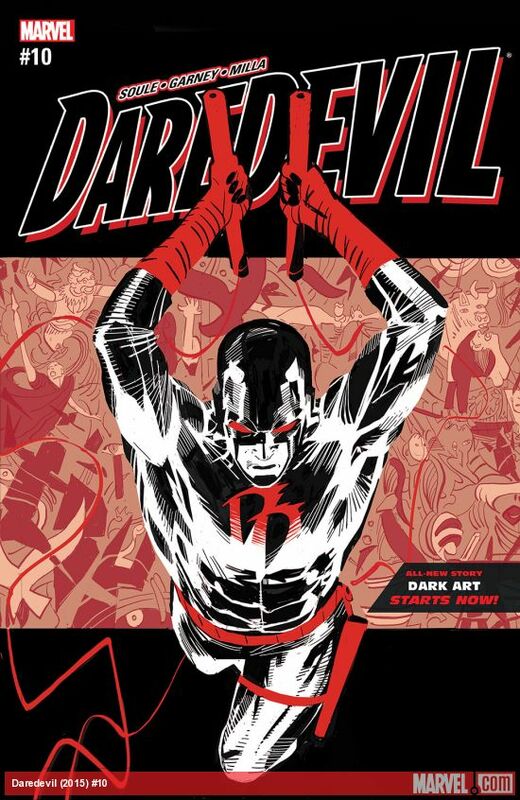 Daredevil #10 - Charles Soule sets up an intriguing new Daredevil arc that has the man without fear and his sidekick, Blindspot, discovering what could be a new serial killer. Soule has really done a nice job delivering a darker feel to Daredevil as others have before, and it has been working well. While I'm not sold on Blindspot yet, it adds a nice element to see him mentor him on both the side of the law and the side of being a superhero. In the issue, Blindspot is given an invitation that leads to a crime scene that includes a painting made entirely of blood, which Daredevil concludes is made up of at least 113 different people's blood, including his own. Darth Vader #24 - This book has become increasingly frustrating to me as a reader. There are aspects that I enjoy, and aspects that I really struggle with. When we last saw Vader he was at the mercy of Cylo, who had a kill switch for his cybernetic suit. This issue opens, which is supposed to be a demonstration of how powerful Vader is in the Force and how he can overcome this kill switch, but it was an awkward flashback that didn't feel impressive. 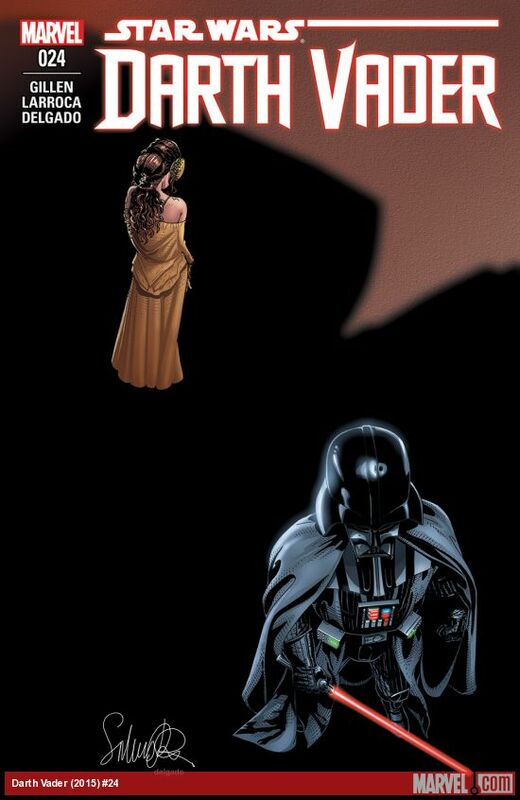 Despite this opening, the book concludes with Dr. Aphra showing up at the doorstep of the Emperor. She is the only link to Vader and his crimes against the Empire, and things could get very interesting quickly. I hate that I didn't really enjoy this issue and it makes me want to read the next one.